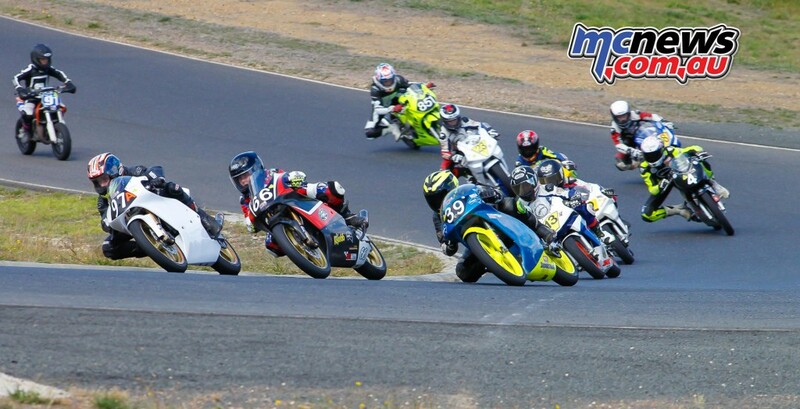 The first round of the Victorian states titles, The Pirelli Motul Victorian Road Racing championships took place over the weekend of the 9th & 10th of April under almost perfect conditions for both the riders and spectators alike. 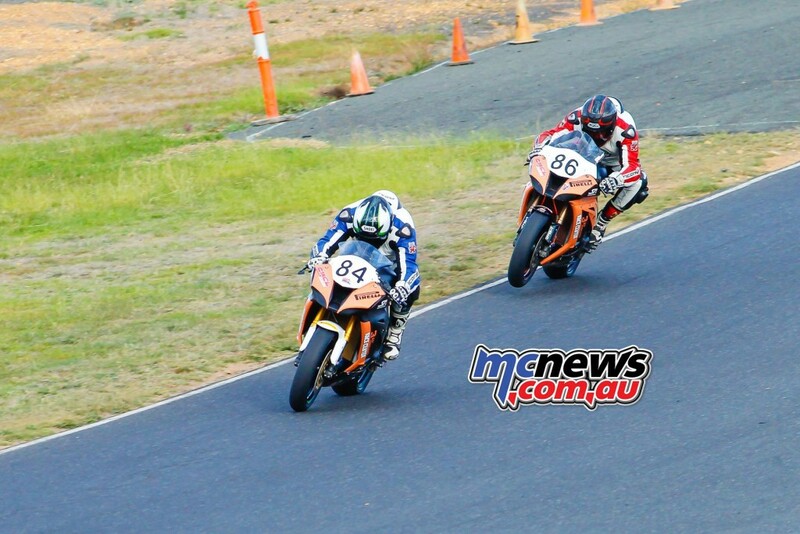 Brothers Nathan & Tyson Jones in the Superbike class battled each other for race wins and fastest laps, while the ever consistent Broadford specialist, four time state Supersport champion and multiple lap record holder, Ryan Taylor on the RTR by Moto Obsession Yamaha R6 showed his evergreen form seemingly untouchable all weekend. 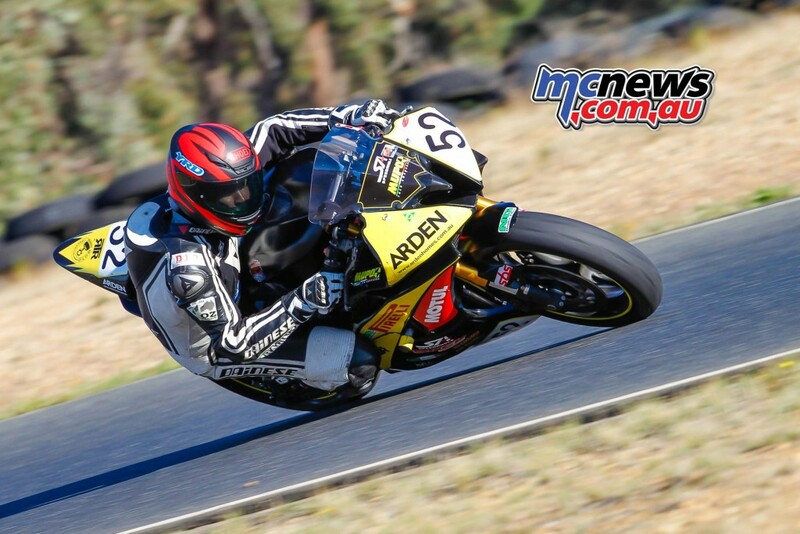 Drew Sells also showed his huge talent and future potential, absolutely blitzing the entire production class field, including Ryan Taylor, who slotted onto the RTR Ninja 300 doing stand in duties for the injured Zac Johnson. 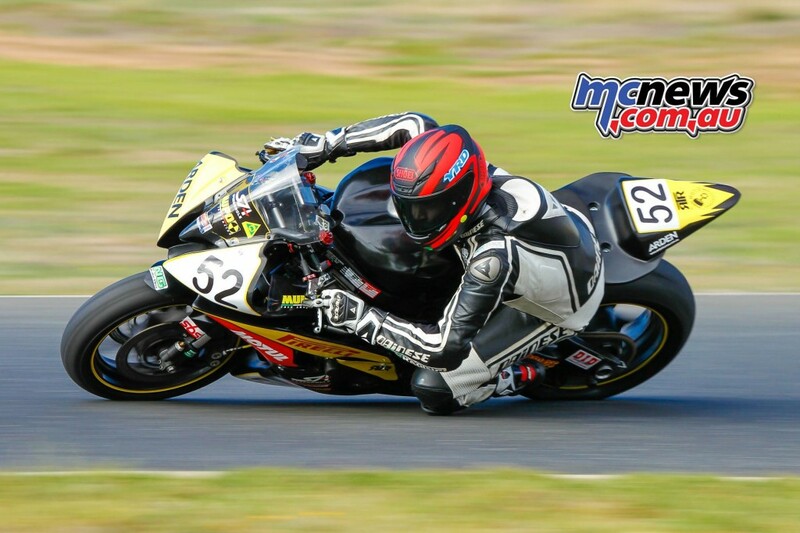 In the Moto3/125GP class, 14 year old Dylan Whiteside on the DJW NSF250 Honda & young Scott Nicholson put on one of the best shows of the entire weekend, battling hard and sharing wins. The Juniors also put on perhaps some of the best racing of the weekend, with Scott Nicholson not having it all his own way, battling hard with Joel Kelso on the Jake Skate prepared JDR With Peter Nerlich hot on his heels the entire weekend. 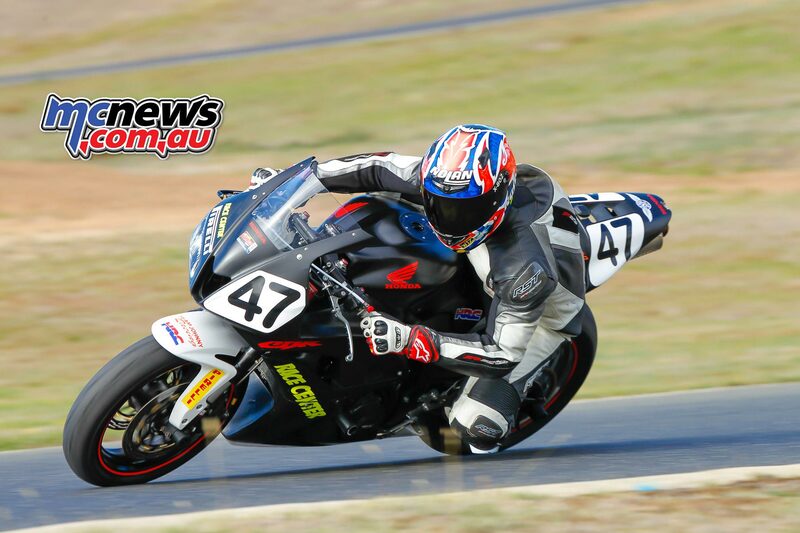 Ben Gotch took pole position on the The Total Welding and fabrication/ DeWith Motorsport CBR 1000. But the weekend didn’t pan out as he expected with crashes in the first two races and bike damage meaning he was unable to run the third race. Speaking to Ben he explained why. 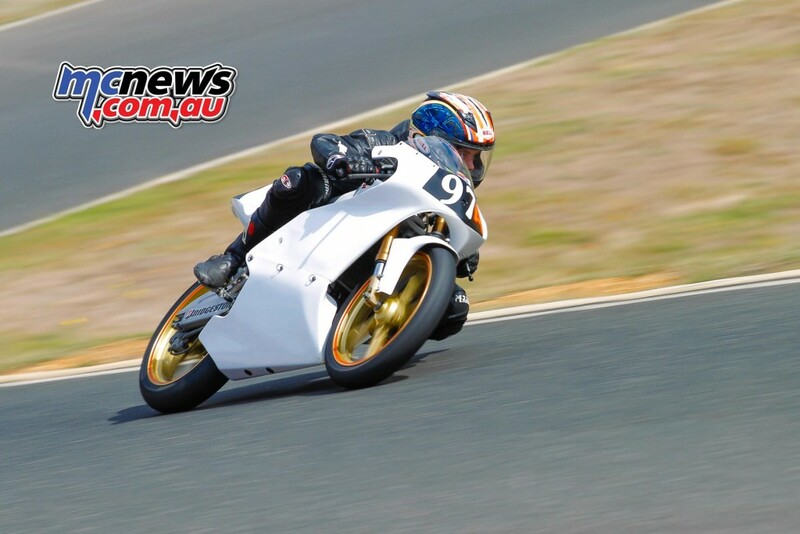 “The bike is new & has been in development for 5 months and for the first time on the weekend with improvements we made before friday practice, i am able to carry good corner speed. Q1 i went out late in the session, hoping for clear track but with 25 bikes spead out, there wasn’t any. In Q2 i knew i had to preserve the new rubber i’d put on in Q1. I got one flying lap in which was good enough for pole position. 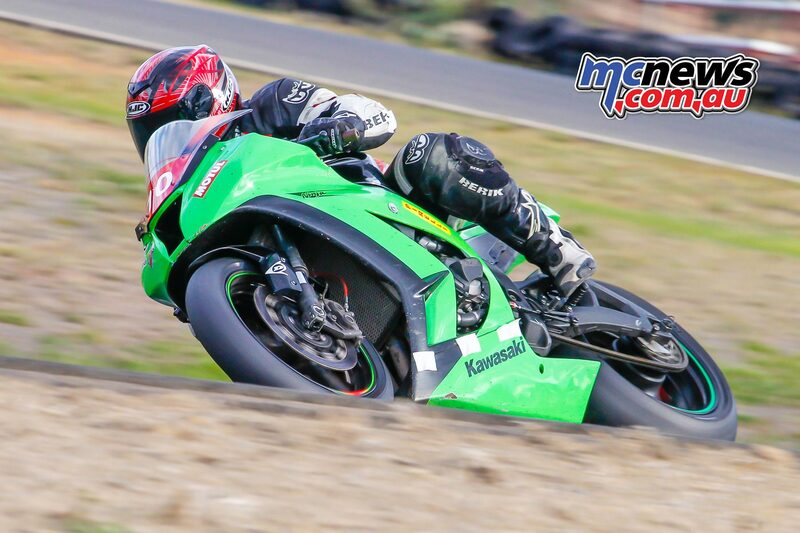 This left the battle for top honours to be fought out amongst the Jones Brothers, Nathan & Tyson and the fast but consistent Dean Archibold and his Kawasaki ZX10R. Watching in the pits, the Jones brothers were both looking for an edge not only over the rest of the field, but also over each other, both throwing tyres at their bikes in between each race to ensure they had the set up to run consistently fast times for all three races. Being brothers, they are not competitive with each other………..much!!!!! 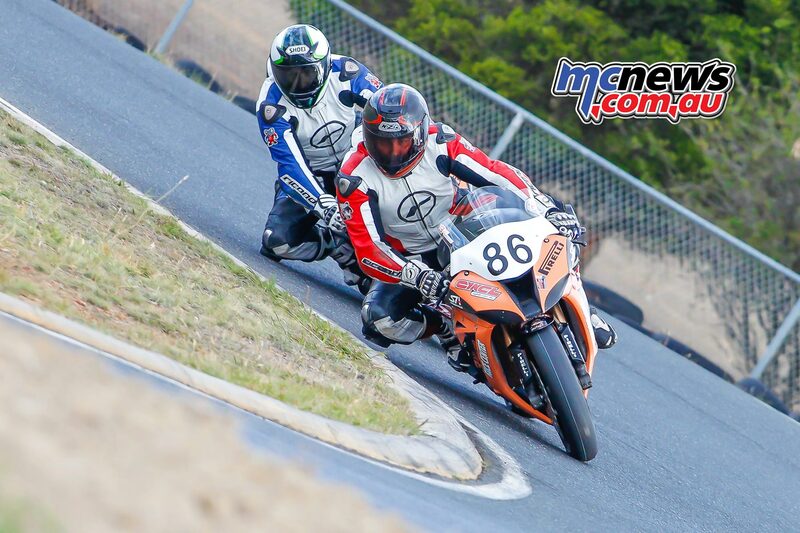 Nathan Jones ended the weekend with a 1st place in race one and then backed that up with a 2nd place in race two and another win for the final race. But it was a see saw battle with he and his brother Tyson for all three races, with them trying everything they could to gain an advantage on each other. The distance between them rarely extending to more than half a bike length at any stage. 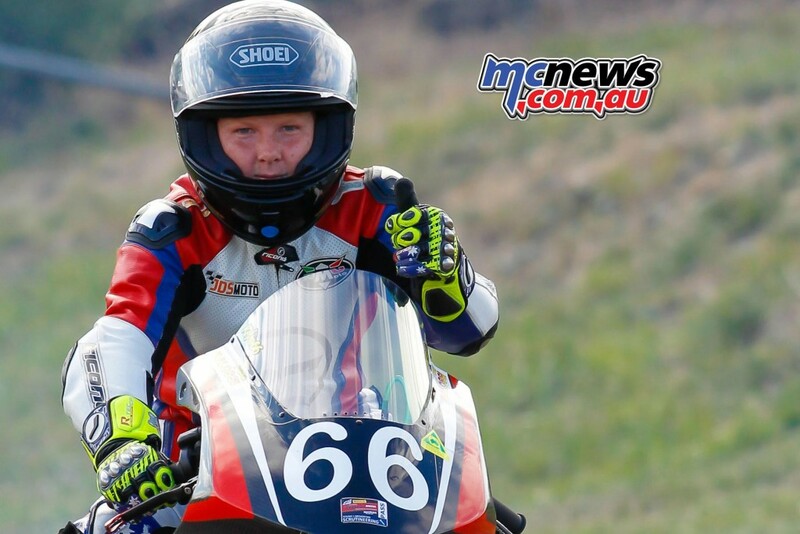 Tyson Jones reversed his brothers results, with a 2nd place in race one, a win in the second race and then another hard fought 2nd place in the final race. Tyson and his brother Nathan had the crowd on their feet in every race, with the two seemingly glued together. I guess a family that races together, sure as hell races together and these two were conjoined bike racers for all three races over the weekend. It was amazing to watch with some truly great riding from both of them. Tyson of course does have a slight size disadvantage being a good 6 inches taller and slightly heavier than his brother, but that should mean it equals out with Tyson also being physically more able to wrestle his bike around the tight and technical Broadford layout. 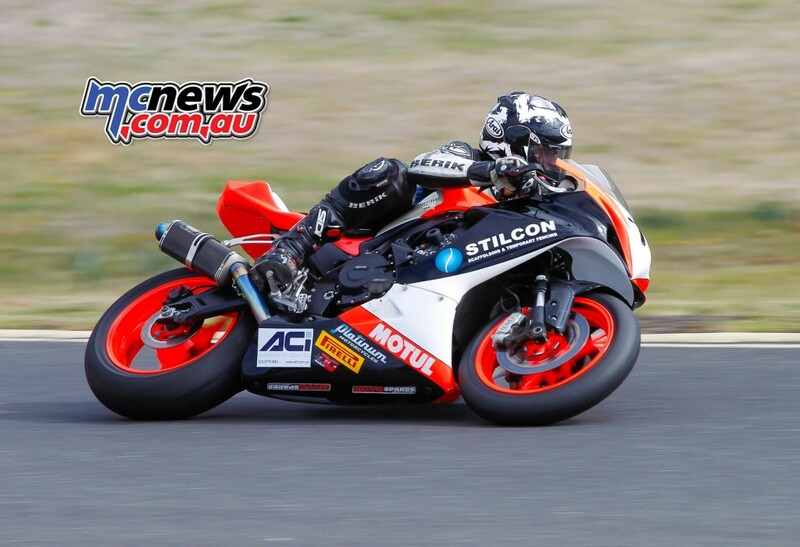 It bodes well for the Moe based brothers heading into the next round at Phillip Island. Dean Archbold rode the 1SRS Scaffolding/Morwell Kawasaki hard all weekend using sometimes very worn rubber but still managing to remain consistent in not only laptimes, but also finishes, ending the weekend with consistent 3rd placings in all three races, the gap to the leaders being too much to make up and with Dean’s tyres having done many laps, the last race saw him having to fight hard to maintain his 3rd place. It was a gritty ride and bodes well for the next round at Phillip Island where the Power of the ZX10R can be fully utilised. 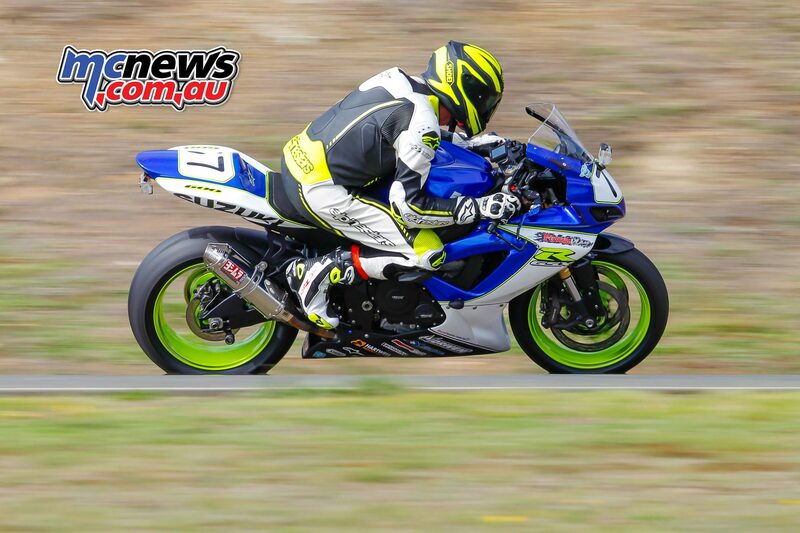 The Supersport class was as always, one of the most heavily subscribed classes of the day. It was always going to be a tough ask for anyone to come close to the 4 times Victorian State champion and multiple lap record holder, Ryan Taylor on his well set up RTR by Moto Obsession Yamaha R6. Although, being that he was doing double duties also riding the RTR 300 Ninja in the 300 Production class, there was a chance he would fade if not fully race fit by days end. 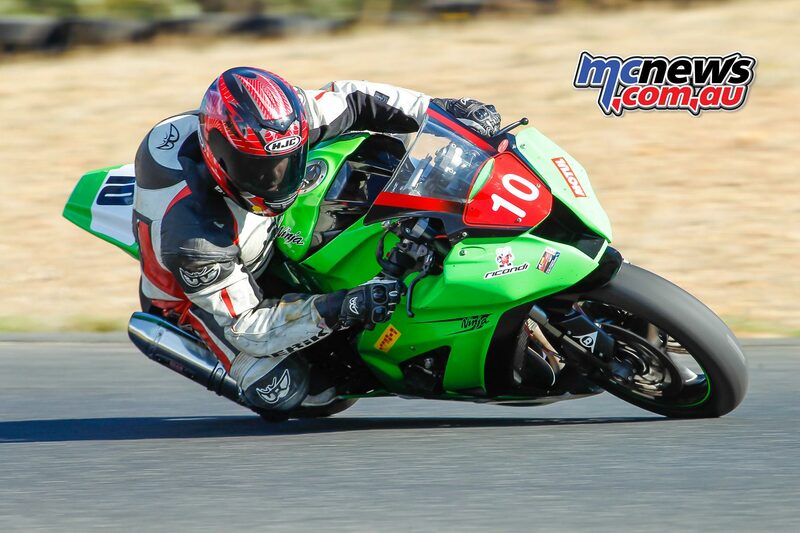 But, apart from a short period in the first 6 laps of race 2, Ryan led every lap of every race. Taking the first race by almost six and a half seconds, the second race by two and a half seconds and just over 2 seconds in the final race. 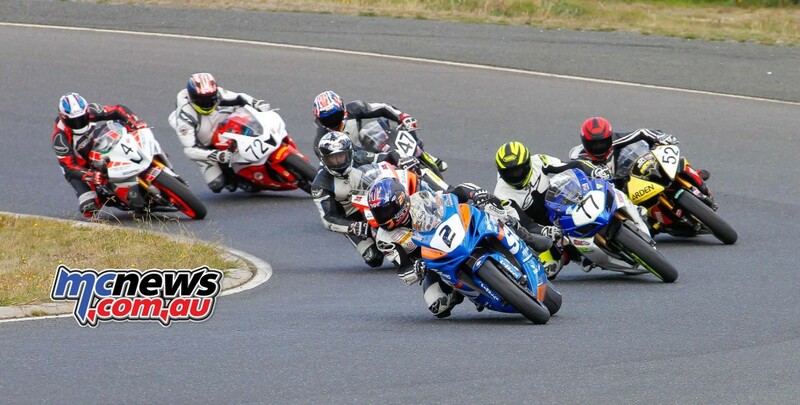 But the real battle was behind him with Ted Collins, Shane Maggs, Lincoln Sutherland, Brendan Wilson, Johnny Taylor and Veteran newcomer Michael Conway. Race one saw Collins take the lead into turn one off the line, with Taylor, Wilson, Sutherland and Maggs hot on his heels. This didn’t last long with Taylor taking the lead shortly after. This left Collins in second, with Sutherland hot on his tail. 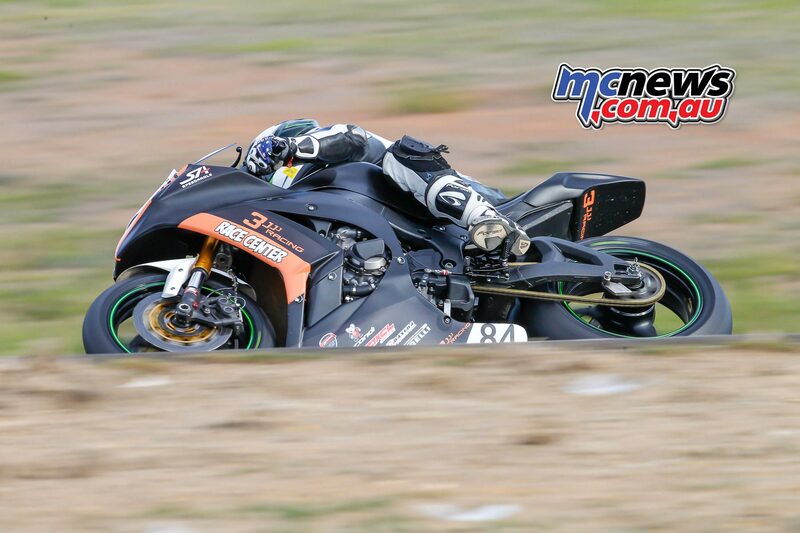 However Sutherland made an early attempt on lap four to take second place and tucked the front into the left hander and crashed out of the race unhurt. Taylor and Collins were the only to two run in the 58”s and pulled a gap on the next bunch of riders. In the end Ryan taylor led across the line by six and a half seconds to Collins, with a similar gap back to Brendan Wilson who rode a fantastic race to finish third on his Stainless Steel Projects Yamaha R6. Closely followed by Shane Maggs on his Stilcon Scaffolding & Temporary Fencing GSXR600, then Tasmanian Jason Spencer on his Motorcycle City Honda CBR600 barely a wheel length in front of the Race & Rally Suzuki GSXR600 of veteran newcomer Michael Conway in only his second season of motorcycle racing. 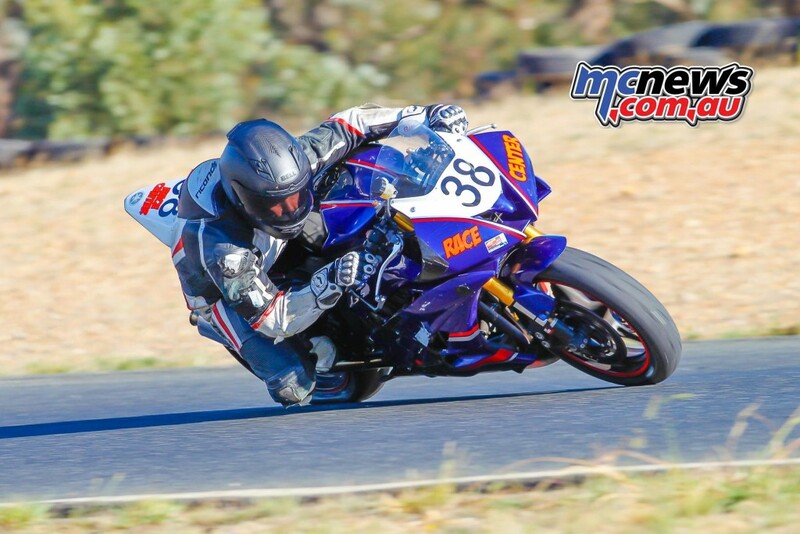 Then a gap back to Johnny Taylor and Tim Sandy Balls Sandy on his Race Center prepared Yamaha R6 who is still trying to find his form again after a big crash last year. Race two saw Ryan Taylors RTR/Moto Obsession Yamaha R6 take the lead from the line and was never headed, crossing the line over two and a half seconds back to Ted Collins who was a further four seconds ahead or third placed Shane Maggs who was less than a tenth of a second in front of the hard charging Lincoln Sutherland in fourth. Then a two and a half second gap back to Brendan Wilson in fifth, followed by Johnny Taylor, Michael Conway, Jason Spencer and Tim Sandy. Race three was another repeat of the first two races, with Ryan Taylor taking control of the meeting and the race. Comfortably lapping consistently in the 58”s controlling the race from the front and looking very comfortable. 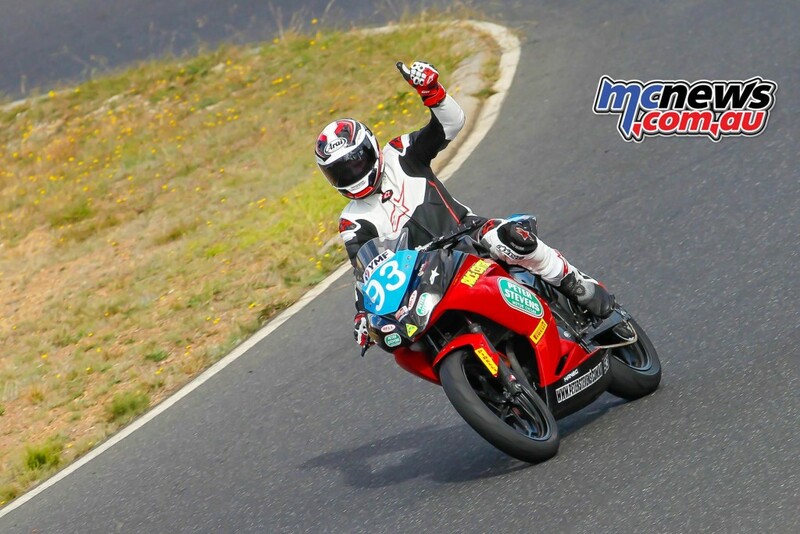 But the battle behind, while containing the same riders, took a different turn with Lincoln Sutherland finally showing his potential and taking second place across the line, with the smallest gap of the three races to Taylor of just over two seconds. There was a large almost eight second gap back to the consistent Shane Maggs, then another six seconds back to Ted Collins with Brendan Wilson barely split by a few tenths of a second. Johnny Taylor, Jason Spencer, Michael Conway and Tim Sandy Balls Sandy filled out the remaining places. The 300 Production class was just as exciting, except for leader of all three races, Drew Sell. 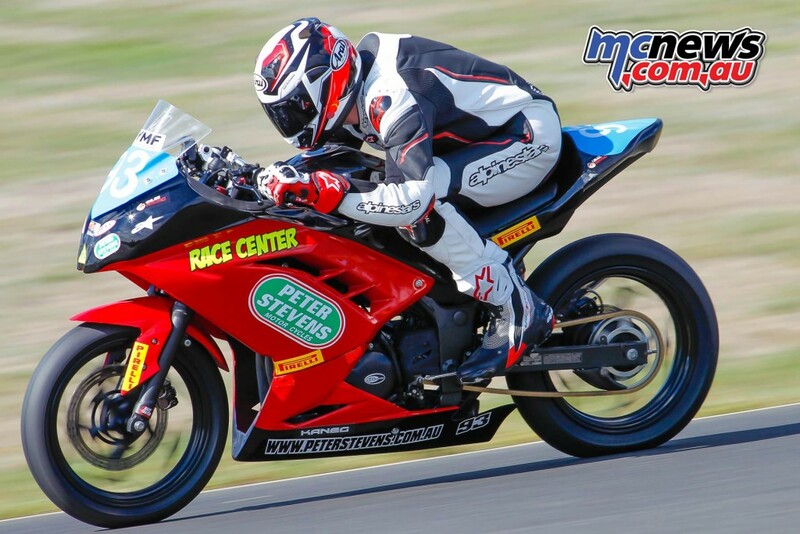 Drew on his Race Center prepared Kawasaki Ninja 300, not only made a clean sweep of all three races, but he also came away with a new lap record a massive .6 of a second faster than the previous 300 Production lap record. This young rider is showing huge talent and is hopefully one to watch this year, as well as in future years. 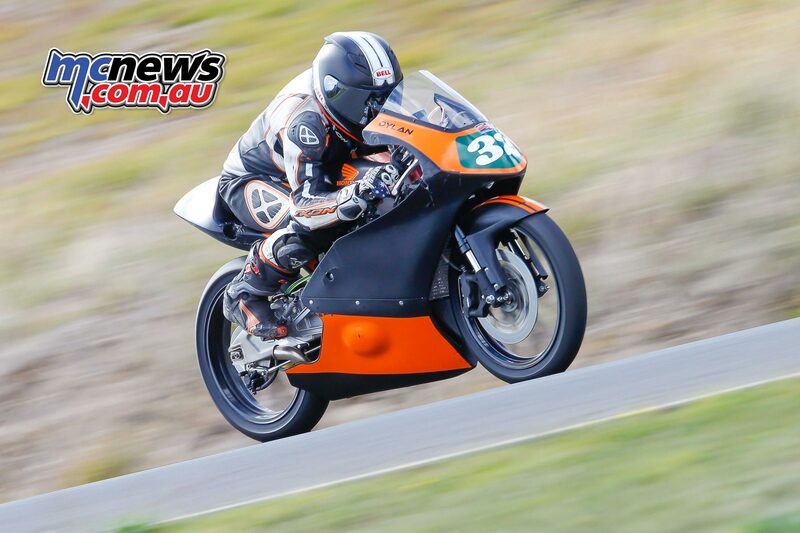 His speed was mindblowing and even Broadford specialist and multiple lap record holder Ryan Taylor, who was doing double duties, filling in for injured regular Zac Johnson, could not bridge the gap to Young Drew Sell. Special mention should also go to young Scott Nicholson, who did triple duties, Riding not only his 300 Production bike to finish fourth for the weekend, but also riding his 85cc bike in the juniors class and backing up on his Honda RS125GP bike all supported by G.Williams Engineering/Traction Control Suspension. 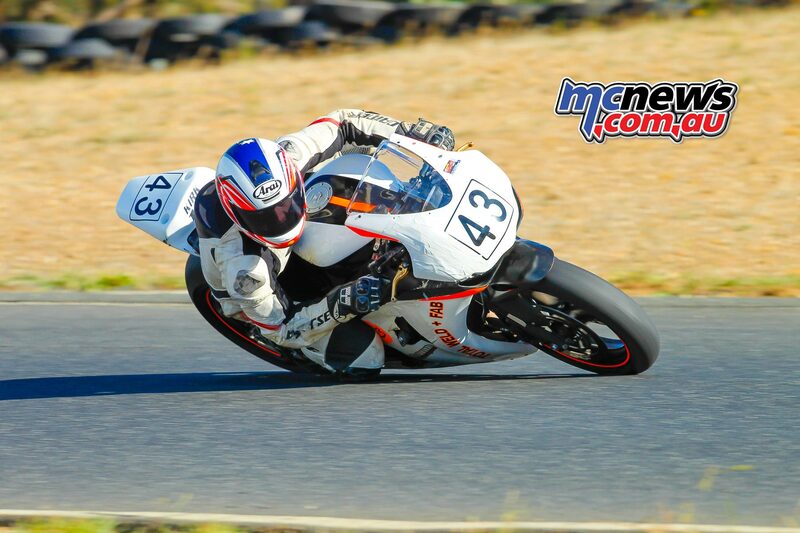 Dylan Whiteside and Fellow 14 year old Scott Nicholson shared the spoils in the Moto3/125Gp class. 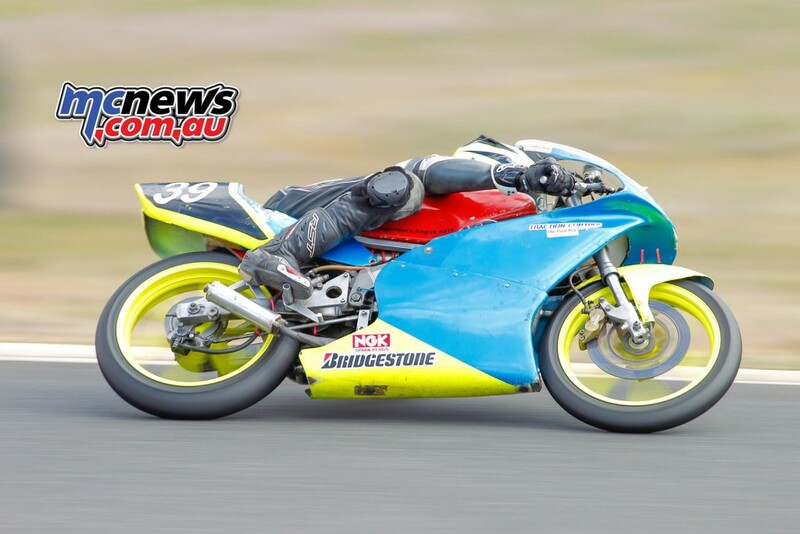 The machines were very evenly matched, with Dylan Whitesides Aussie Crane Trucks / Urban Drilling NSF250 Moto3 machine having the edge in top speed and the G.Williams Engineering Honda RS125GP machine of Scott Nicholson having the edge n corner speed and under brakes. 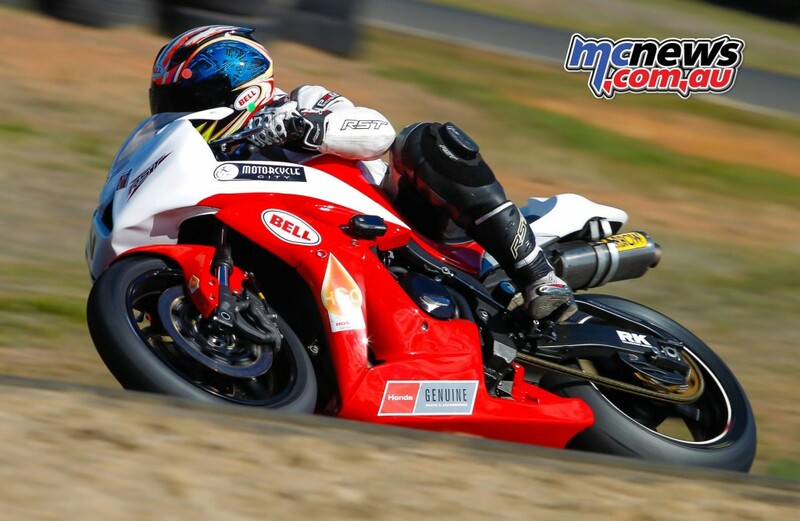 All three races saw Dylan lead across the line to win the day, but due to a ten second penalty in race one from a jumped start, Scott Nicholson took the win in that race. However it may look from the small field, the racing put on by these two had the crowds cheering as they appeared linked by an elastic band for the entire three races. Scott made several attempts to pass Dylan and in race three succeeded at one point, ony to have the top end of the little Moto3 Honda come into plat to draft past him again on the next straight. But the racing was simply thrilling. The crowd were on their feet clapping and cheering as both riders re entered the pits at the completion of each race. The GP Juniors were another crowd favourite, with some of the riders barely looking old enough to be on a motorbike. But the speed they showed was incredible. 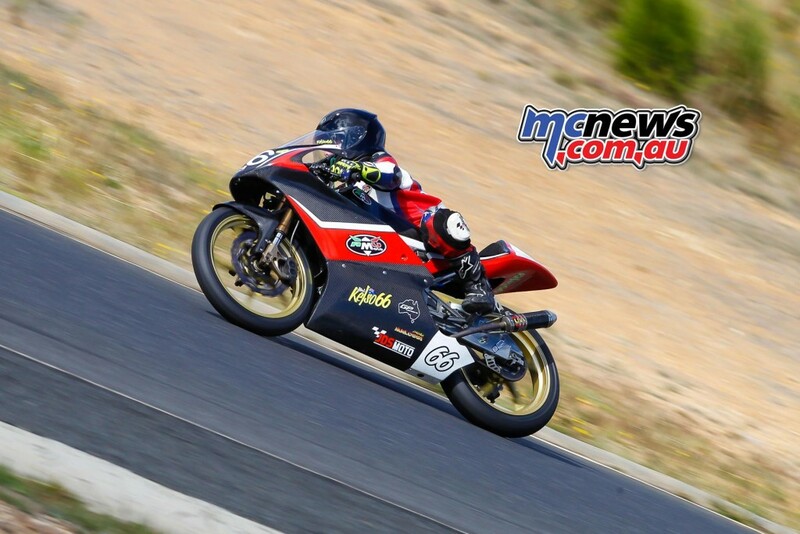 At the pointy end there were some very fast riders leading the way, With Scott Nicholson on his G.Williams Honda RS85, Joel Kelso on the Jake Skate Supported RMU80 and Peter Nerlich on another RMU80 making up the first three places for the weekend. 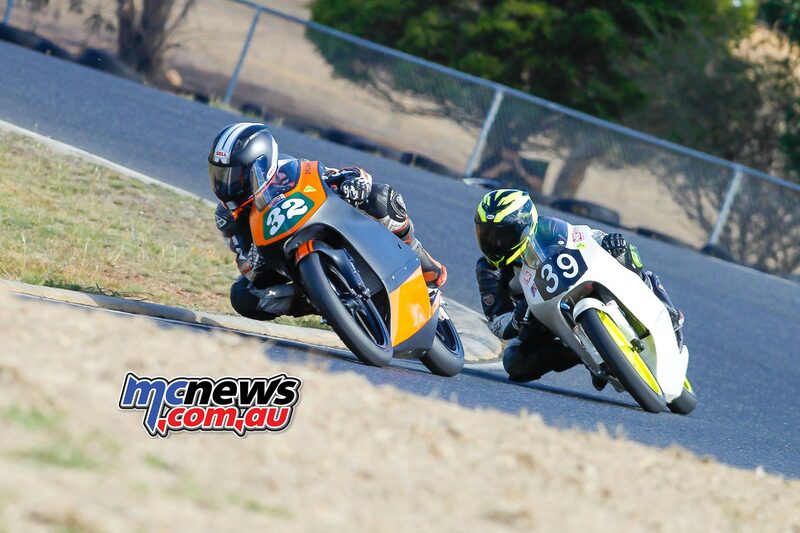 Travis Hall took the honours in the 70cc class and Ben Bramich took the win in the 160cc four strokes.